So since I’ve been working with some heavy material lately, I thought I would get serious and buy a heavy duty machine. I’ve read some pretty good reviews of this machine, and for the price (on sale, $100 off) I couldn’t pass it up. 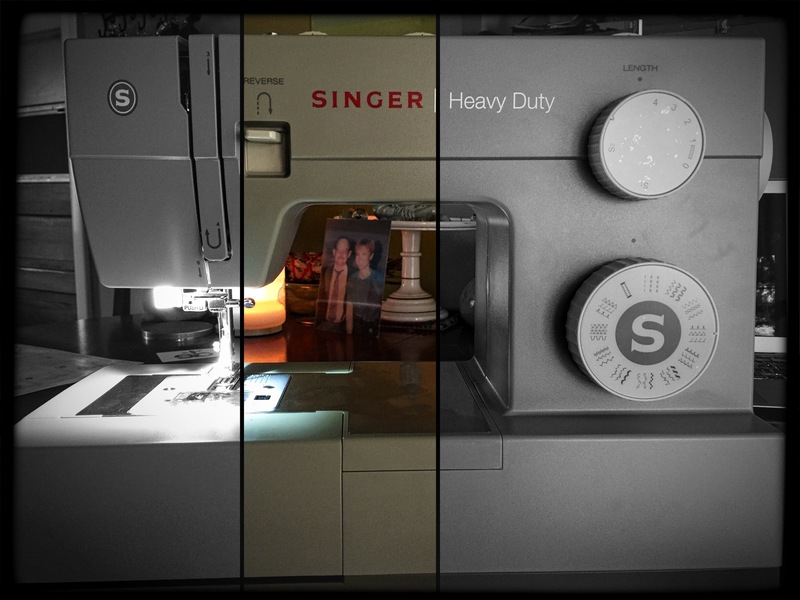 Someday I’ll have my dream machine of an awesome Husqvarna, or Juki, or Janome, or Bernina, but for now, this will do. I had all good intentions of trying it out this weekend, but you know what they say about good intentions. I spent most of this weekend resting and napping. I had gone out Saturday night until midnight, which I rarely ever do anymore, so Sunday was my day of rest. 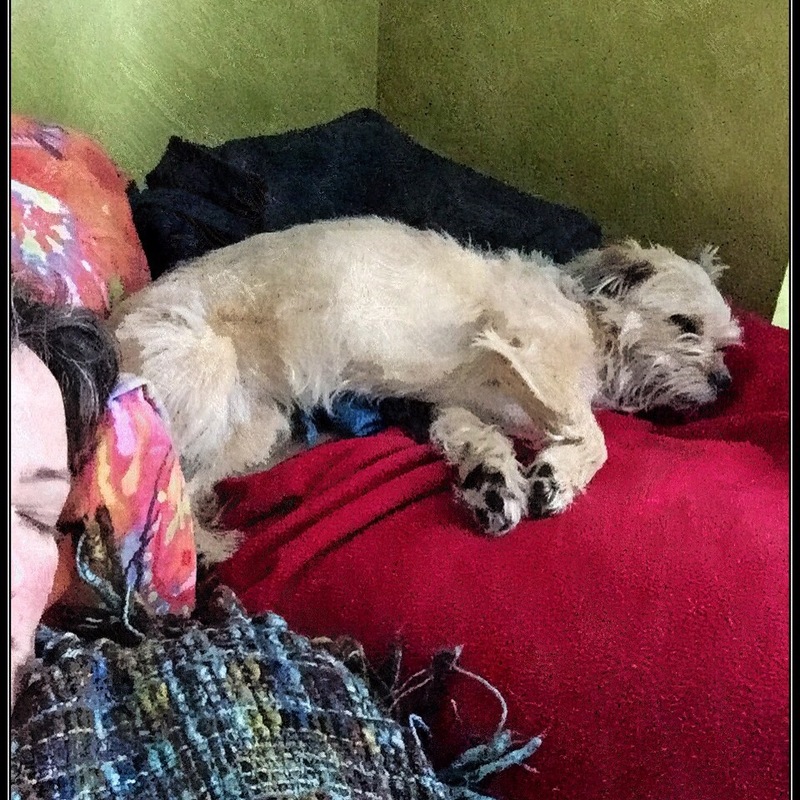 Puppies didn’t mind, as Lola likes to sleep near my head when I’m napping on the couch. So sewing will have to wait for a couple days. Which is OK because I still have yoga mat earrings to finish. Did you see the photo of me and my dad? Don’t laugh, it’s an old photo.